Although bookmaker 1xbet was established in 2007, our company has been growing fast. Today we are the largest bookmaker within the countries of the former Soviet Union. Our headquarters are in Gibraltar, and we hold an international licence from the government of Curacao. We mainly focus on sports betting, but we also run TV games, a live casino, gambling machines and the 1x game and bonus games section. Thus we have a unique portfolio amongst providers and you can find many opportunities here you won’t find anywhere else, in particular due to betting in live mode. Compared to our rivals, at 1xbet we offer significantly better odds, mainly because of lower margins. As such, players achieve high winnings through betting relatively small sums, even running to the millions. All transactions are secured using so-called two-step verification. This means you will always receive confirmation on your mobile telephone. All data is encrypted using the SSL protocol. This makes 1xbet one of the most secure bookmakers online! 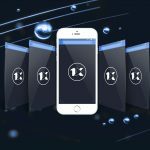 There are various types of bet available in 1xbet’s portfolio: simple, accumulated, system and chain bets. Bets are placed 24/7, with more than 1000 sports events available daily. The breadth of bets is very wide, from popular sports such as football, ice-hockey, tennis and golf to less traditional sports such as cricket. You can also place a bet on a specific event like a European handicap, or on a specific game score, over/below, you can predict which team will score the first goal, etc. Within individual sports, typically cycling, for example, you can also bet on a contest between two racers. Live bets are also available continuously 24 hours a day. There are roughly 30 events available for sports events. You can bet on the number of yellow cards, number of free kicks, etc. Live bets work essentially in a similar way to traditional betting. After clicking on the LIVE button, a menu opens up with a selection of sports and the option to select your own prediction, or a number of predictions. The 1xbet.com website will require you to fill in your personal details, meaning your name, age, etc. If you want to avoid doing this you link your newly set up registration to an e-mail, telephone number or one of your social network profiles. Your registration is then simple and should just take a few minutes. One you have completed registration, you can use your log-in details to access your 1xbet betting account. You must first select the type of sport you are going to bet on. You then select a specific prediction or a number of predictions. You will also select the type of bet. You then deposit funds and confirm your selection by clicking the button. You can also download and save your ticket so you can check it later or if you want to print it. You can also share it on social networks. You can adjust the settings of your user interface. At 1xbet bookmaker our users particularly appreciate this modern approach. You can also place bets using our application designed for the Android and iOS operating systems. Our entire website is also accessible from mobile devices. You can place bets directly in the Telegram app, or through the SportZone plugin which you can install directly onto your web browser. Other options are the 1xWin and 1xBrowser apps. Simply select the appropriate option from the menu after logging into your 1xbet account. You can withdraw and deposit funds using the following methods: bank transfer, credit card, digital wallet, self-service terminals, mobile payment, also electronic currency exchanges, or in person at a branch. Transactions are not subject to any fee. In general, they are applied instantly, or if transferring funds from your bank account this can take up to a few days. The level of minimum deposit and withdrawal depends on your chosen payment method. Currently, 1xbet is offering a deposit bonus of 100 % up to a limit of €100, and a wide range of other regular promotions are available. As for other betting websites, 1xbet also provides a VIP loyalty programme for regular punters. The 1xbet.com website is today fully localised for around 35 global languages. If you can’t find an answer to your question on the website, technical support is available online, by telephone or email or also on live chat. Slowly the bookmaker 1xbet is starting to be as popular as Bet365. Of course, Bet365 remains an absolute leader in many markets, however, when comparing bonuses and offers, Bet365 does not have much more. 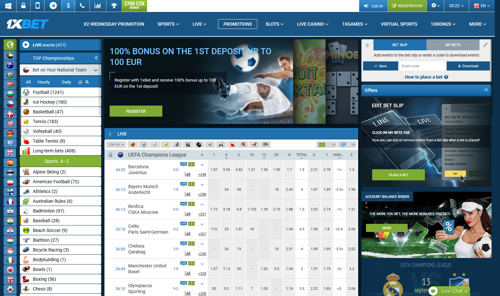 We suggest to compare the offer with that of Bet365 by logging in via an alternative link. Definitely Bet365 and 1xBet are currently the best online bookmakers.